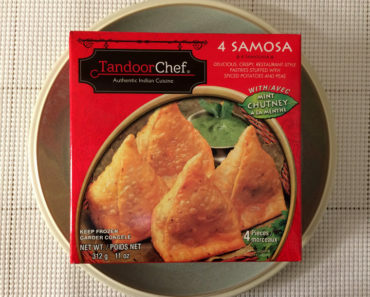 When it comes to frozen Indian food, it’s really hard to top Tandoor Chef. 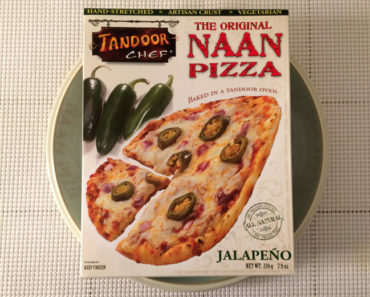 Their Samosas with Mint Chutney are lovely, and they make a darn good pizza as well. 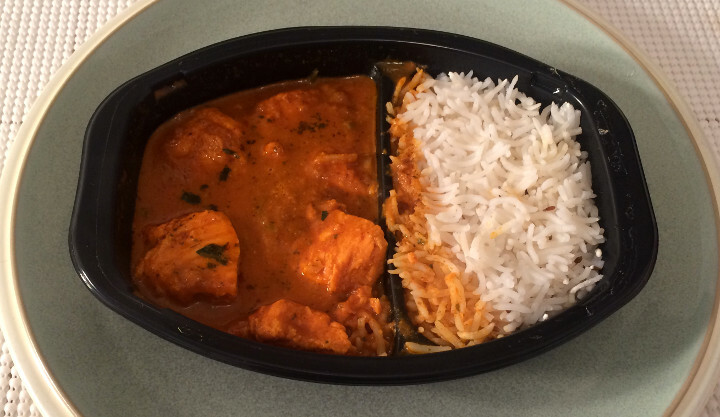 Needless to say, we were pretty excited to try the Chicken Tikka Masala. 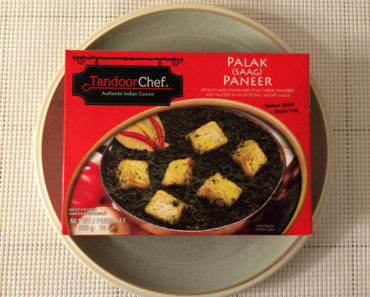 Most of the meals we’ve tried from Tandoor Chef have been vegetarian-friendly. This one, however, is not, with large chunks of chicken as the main protein source. This chicken tastes very fresh, and it has a really nice texture to it. 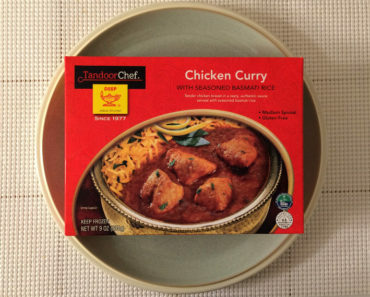 So many of the frozen meals we’ve tried have screwed up the chicken portion, but this approaches restaurant-quality poultry. It’s very good. There’s a very generous portion of sauce here, and it tastes excellent. It has that creamy-yet-spicy flavor, with hints of coconut. There’s apparently no coconut in this dish, but we swore there was until we checked the ingredients list on the box. This is listed as a “medium spiced” meal. We were a bit concerned that a medium spice level in an Indian dish would be a very high spice level to us, but it’s actually pretty mild. Spice-ophobes are definitely going to want to avoid this, but most people should be just fine. The grains of rice are very thin, which gives them a great texture. While the taste of the rice isn’t anything special on its own, once you douse it in sauce it becomes purely wonderful. And, since the sauce portion is so robust, you shouldn’t run out of sauce before the rice is gone. The plastic tray this meal comes in has a divider to keep the rice separate from the rest of the dish. 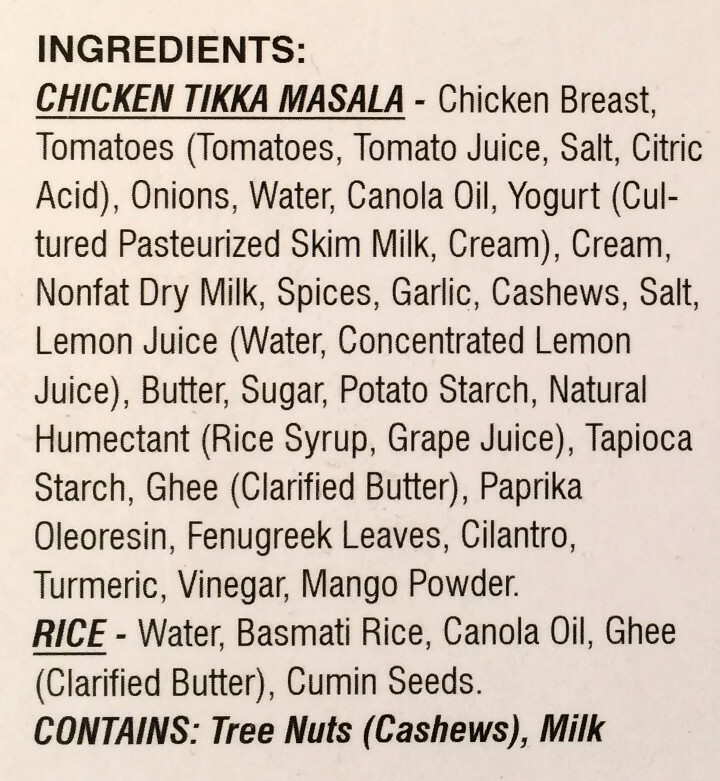 This may be good for cooking, but we found the best way to enjoy this meal is to grab a chunk of chicken, slather it around in the sauce, then dab the rice. While each individual piece of this dish is high in quality, they taste even better when they’re all mixed together. The calorie count isn’t extremely low or anything, but it’s not bad at 360 (120 from fat). 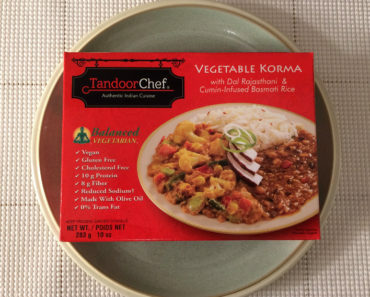 It’s lower in sodium than a lot of other frozen meals we’ve tried as well, though it still has 590 mg, which isn’t exactly low. It’s also gluten-free, so feel free to share it with your gluten-avoiding friends. 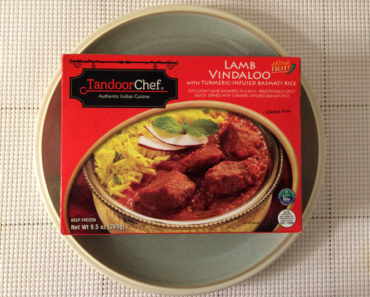 Tandoor Chef’s Chicken Tikka Masala is a very high-quality frozen Indian dish. 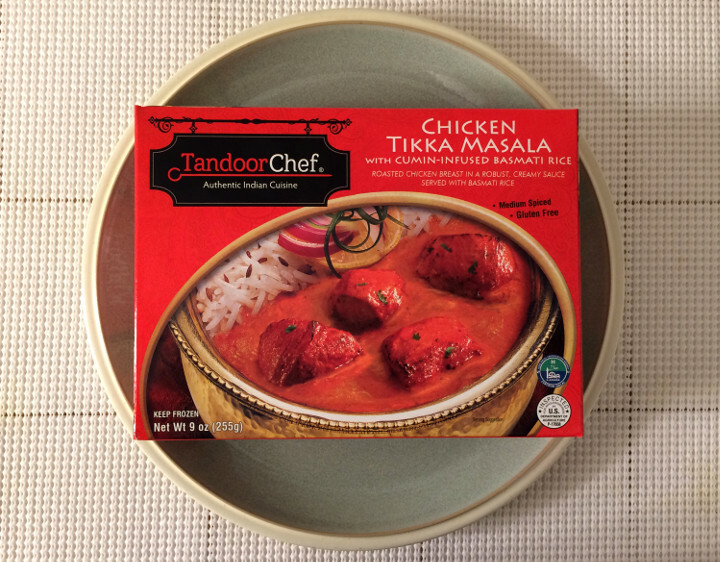 While other brands offer their own frozen version of chicken tikka masala, this is the best one we’ve tried yet. If you’re interested in learning more about this frozen food, see our package scans below.